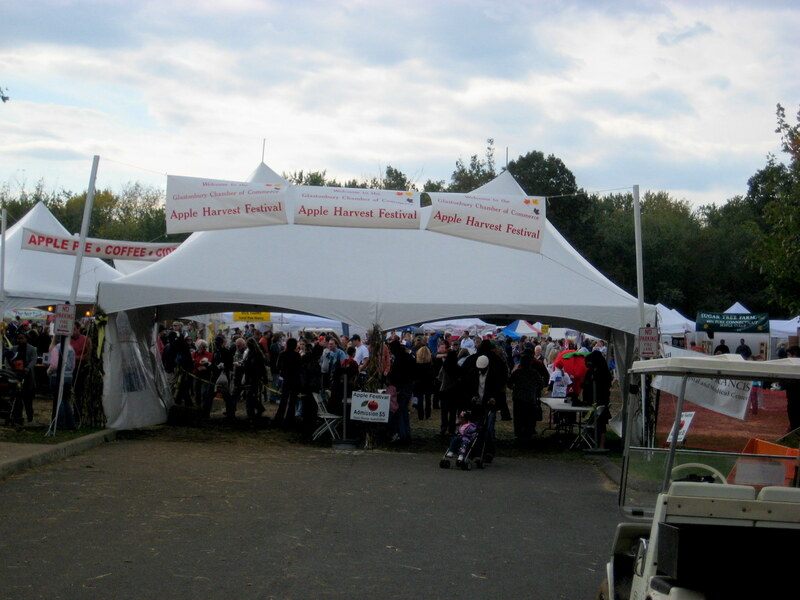 On Sunday, I attended the Apple Harvest Festival that my town puts on every year. It’s a beloved tradition around here, the kind of thing kids come home from college for. 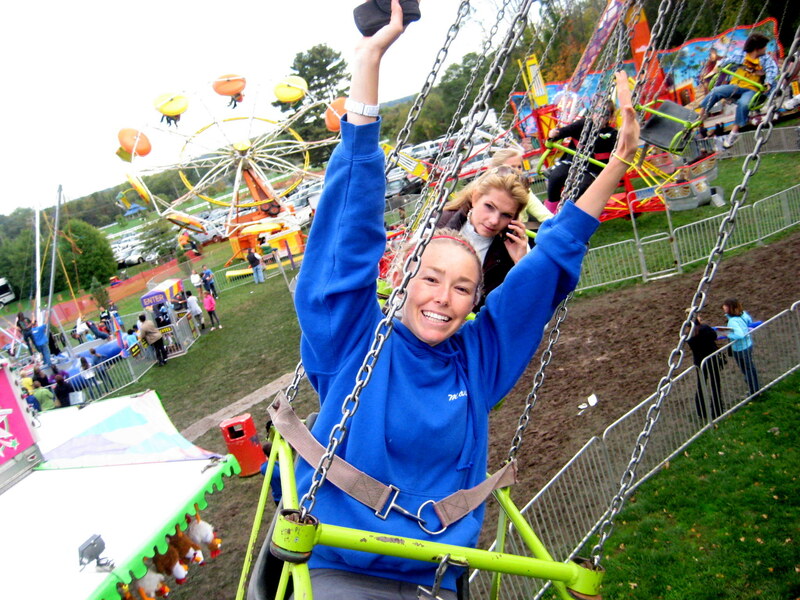 I truly believe there is something for every age group – it used to be the rides that drew me in. Then it was the craft tables and food. Now I can honestly say I participated in everything – and I got to do it all on a pretty fall day too. 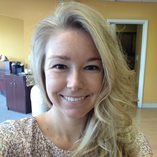 I had an amazing time! I won free tickets on the festival’s Facebook page, so Joe and I got to bypass the whole spending-money-at-the-door thing (in favor of spending way too much money once we were through the doors). We were greeted immediately by a person in an apple suit. Seriously, I was loving it already. Lucky for him I don't actually like apples. I was hungry upon our arrival, so we trudged through the muddy fields to see what food options awaited us. Answer: EVERYTHING. 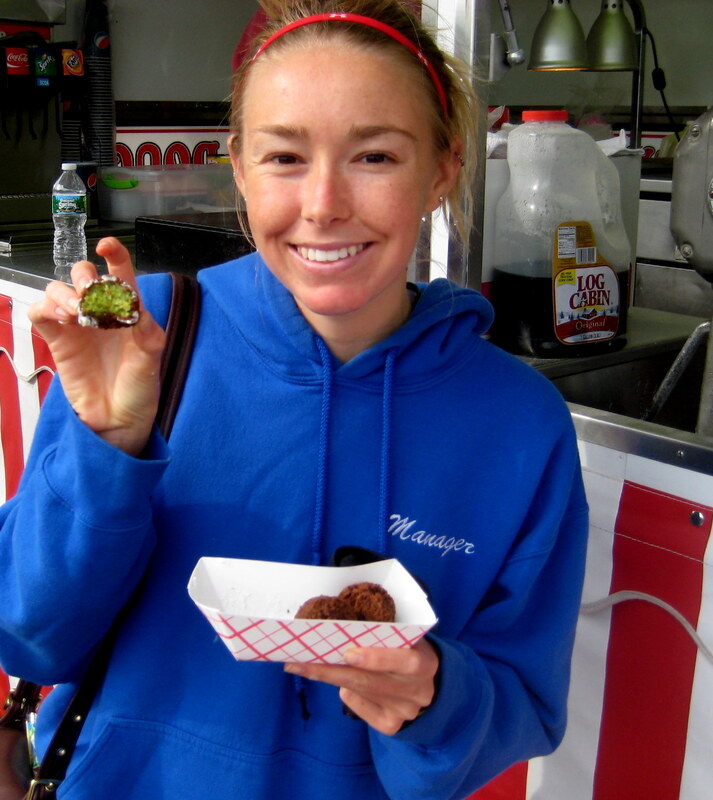 It was one of those occasions when I wished I had about 5 stomachs – I have never seen such a variety of tasty food at the Applefest before! 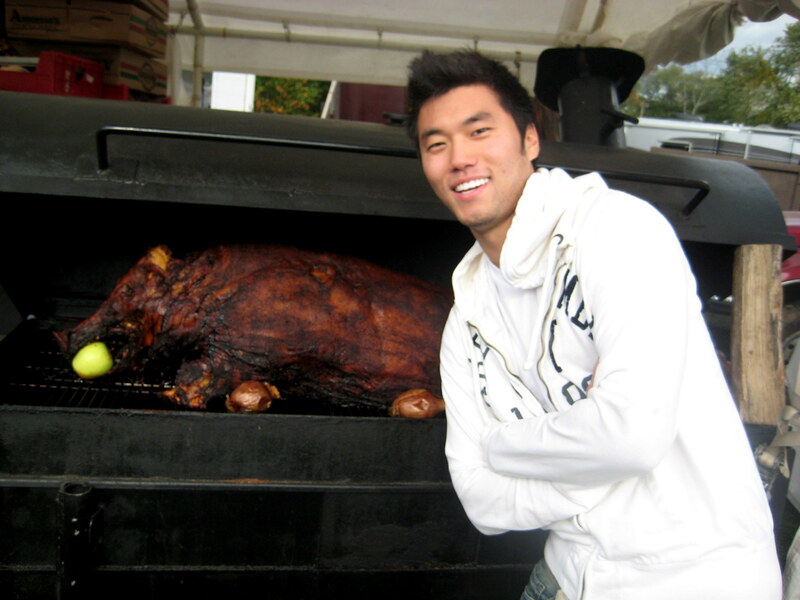 And of course it coincides with the point in my life where I am at my peak level (so far) of foodie. This booth was selling some of the freshest pulled-pork sandwiches I've ever seen. I was freaking out about all the food, but Joe was pretty calm. He knew what he wanted. 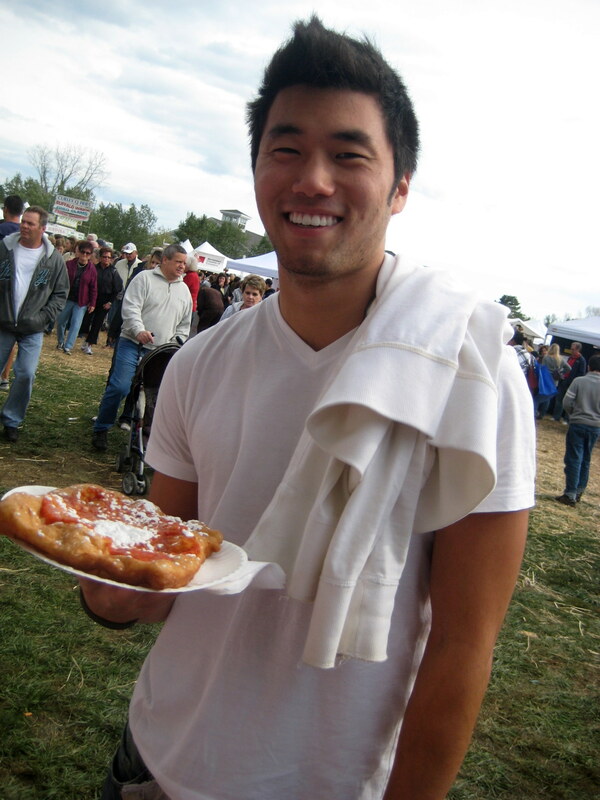 Fried dough with marinara and sugar of course! 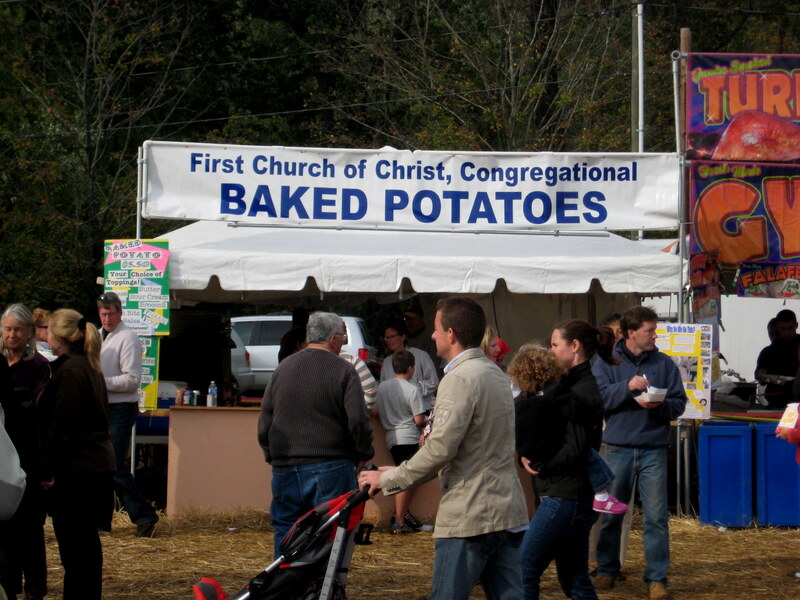 While I was decided, I went to visit my mom at her church’s baked potato booth. Remember the attack of the potatoes? Well, they clearly didn’t stand a chance because they were being sold to hungry fair-goers topped with cheese, bacon, chunky salsa, and broc. Mmm. (Green?) falafel and tzatziki sauce! Does anyone know why the inside of this falafel is green? Does that mean it’s not legit? 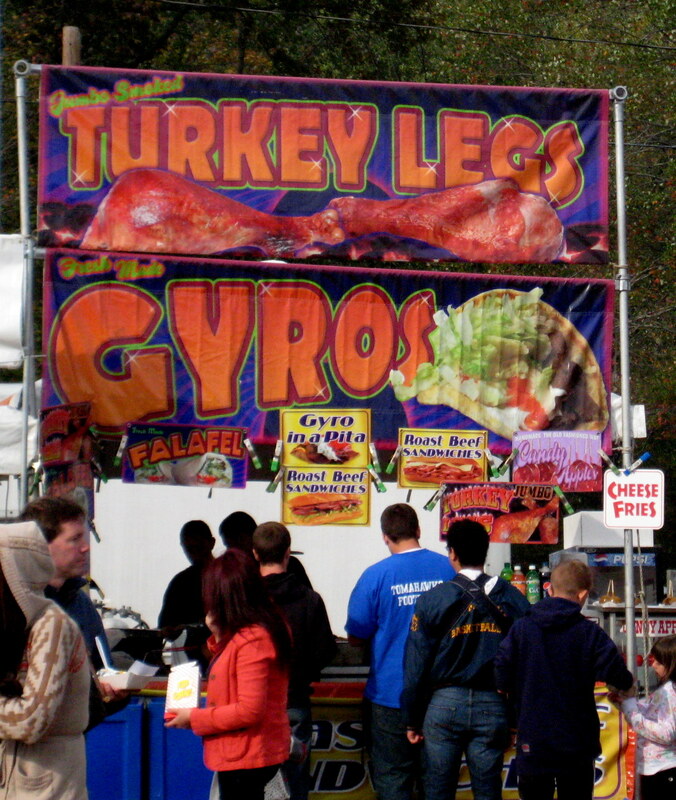 I mean probably…it’s from a fair…but it still tasted DELICIOUS and the outside was so satisfyingly crunchy. If you tell me it’s fake I won’t care! 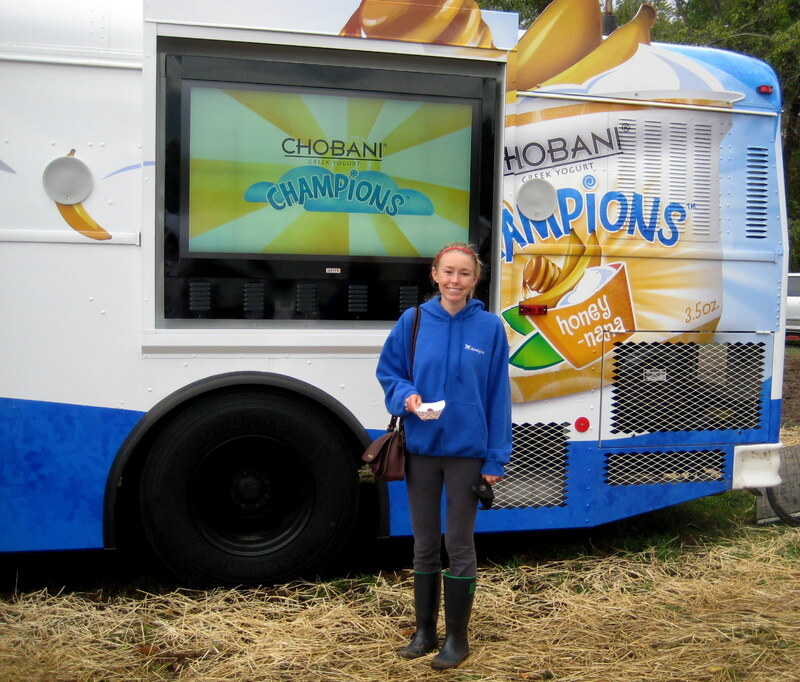 We continued on our journey and picked up free Chobani Champions yogurt from the Chobani truck! I also got a free bag to carry my purchases in, in exchange fro the promise to like them on Facebook – and I did, obviously. I’m a woman of my word! And then it was time for perusing the craft booths. Ran into my friends Capa di Roma and sampled more of their awesome marinara sauce – even though I already know what it tastes like and that I love it. Stopped by Ariston Olive Oil‘s display too and purchased garlic-stuffed olives. This olive/garlic freak was in heaven. 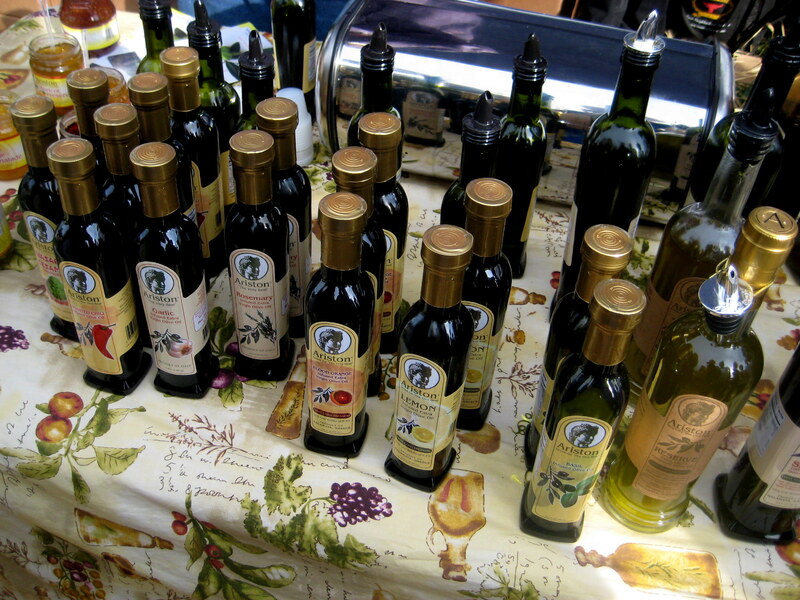 They had an impressive display of olive oils and vinaigrettes for sampling and purchase! One of the coolest cooking creations I came across was made by Judecraft Specialty Foods. They make “gourmet dip mixes, cheesecake dessert mixes, and bread dipping blends” in tons of varieties. There was a sample out for every single dip flavor! 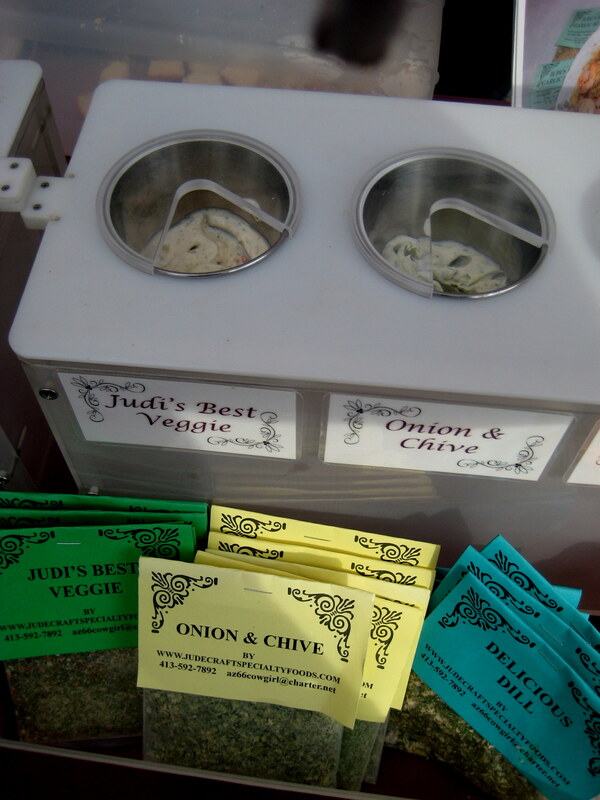 I went to town – the creamier dips were created by blending the mix with some sour cream and other simple ingredients (listed on each package) and pretzel sticks were provided as the “sampling tool”. I was most enthused by the mixes meant to be blended with olive oil though. They were sampled on crusty bread and I knew after one bite that I’d have to take some of these home with me. 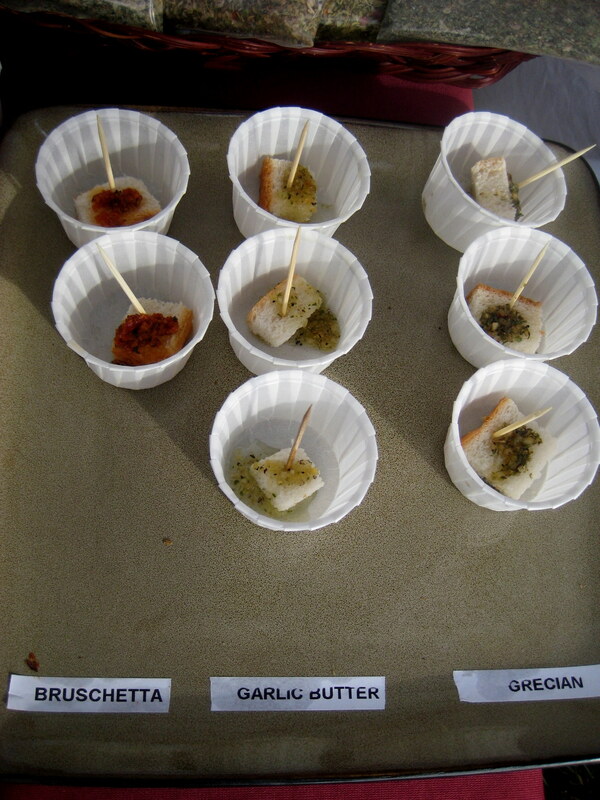 I went with one package each of the Bruschetta, Garlic Butter, and Grecian Delight (obviously). Though I was no longer hungry from falafel and samples at this point, that didn’t stop me from spending several minutes oggling desserts. And sampling peanut butter and maple fudge. 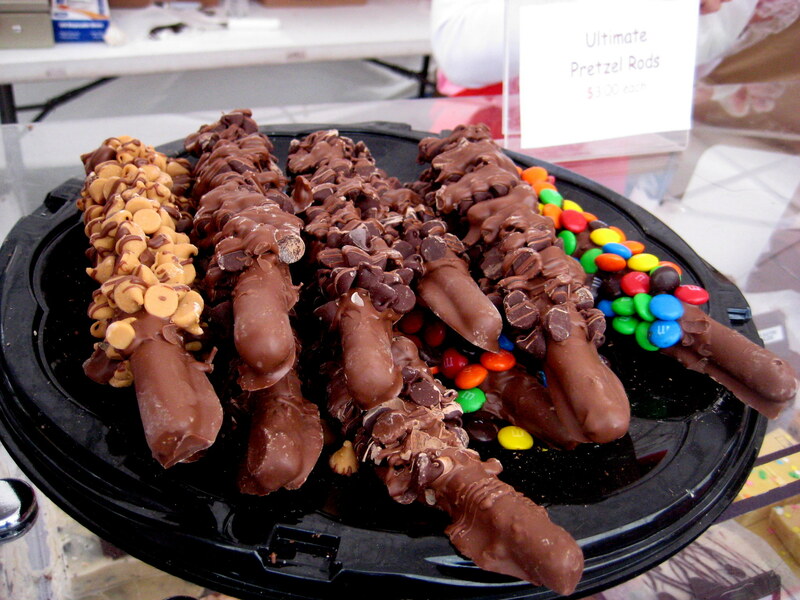 Had one of these at '09's fest…amazing. And then it was time for RIDES! 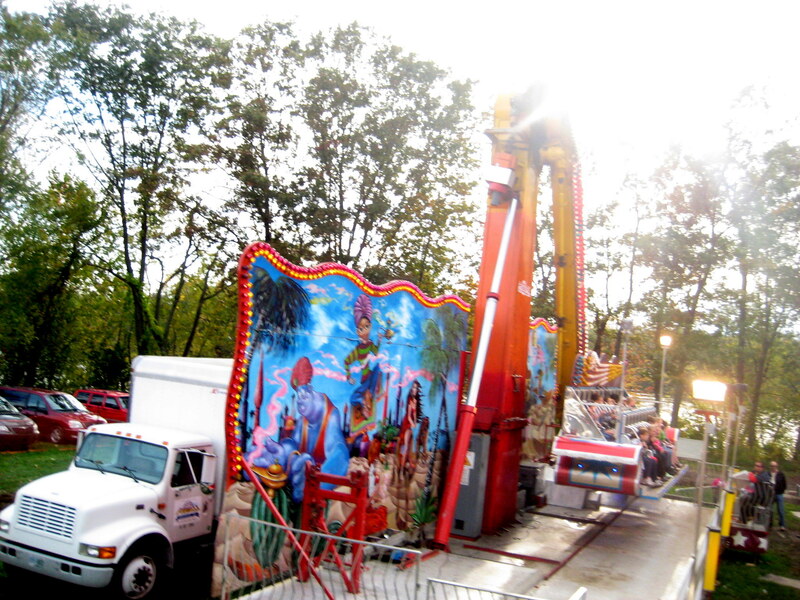 I didn’t think a cheap-o like me would be willing to fork over $20 to go on a few rides, but I was feeling the Applefest spirit. The rides were SO worth it, even if just for the pictures I got. 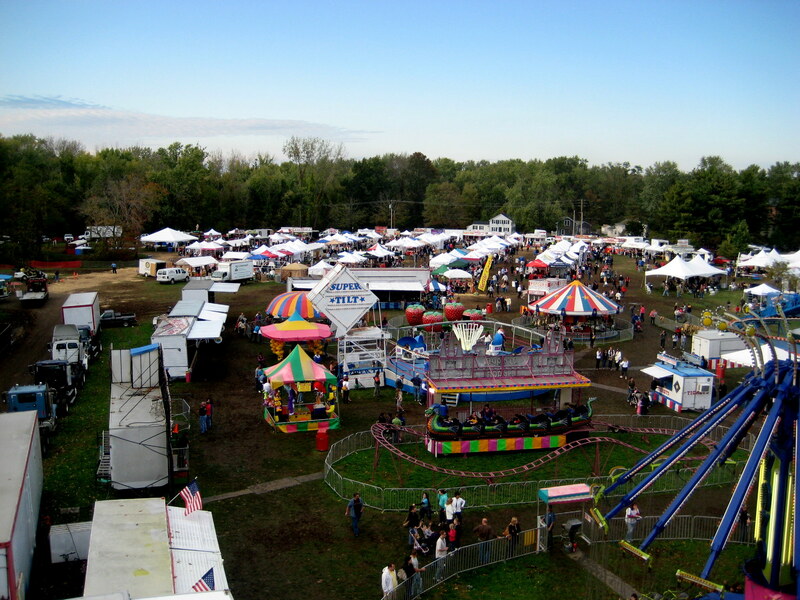 Awesome views from the ferris wheel! Awkward spindly finger clutching the edge? Mid-ride photos are the best. After three rides, we determined it was time to head out, and hit the local mall and DSW to run errands. And, for the better, we both left purchase-less. I also almost left phone-less because I lost (and found) my phone in DSW. D’oh, careless. 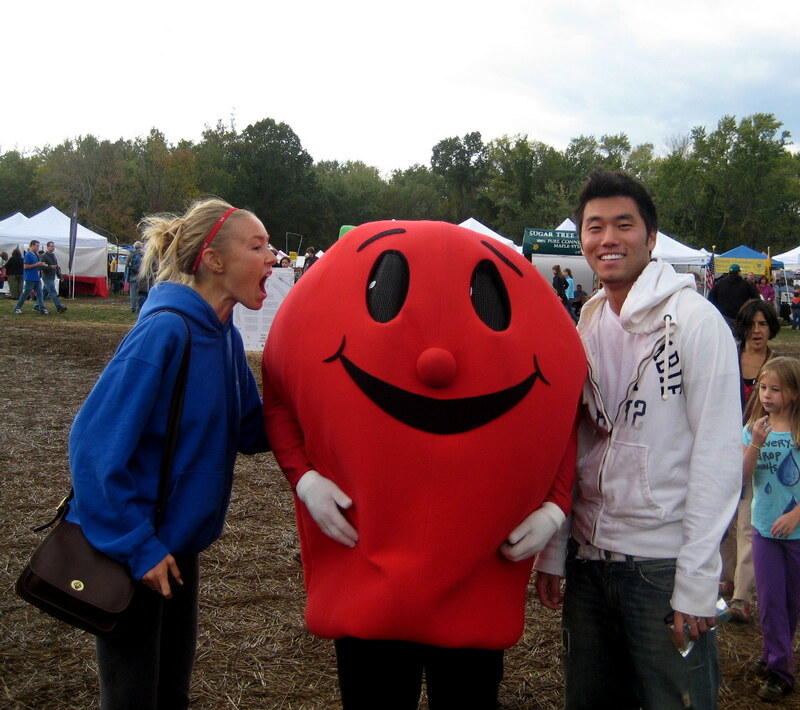 Do you have a local fall festival in your area that you attend?